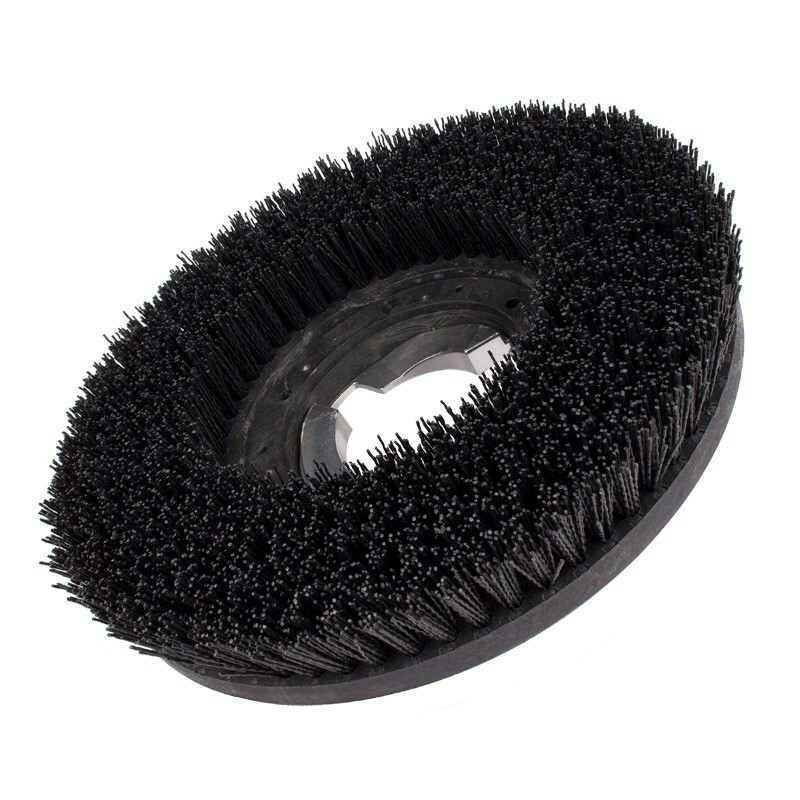 This grit impregnated brush fits on our 13 inch floor buffing machines, and is for heavy duty scrubbing or stripping finishes from hard surfaces. 1.75 inch long, 80 grit silicone carbide impregnated nylon bristles are self-replenishing as brush wears, offering unmatched value that outlasts floor pads over 100 to one! 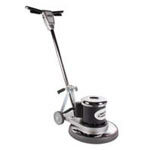 Our complete line of floor buffer scrubbing brushes must be run in a wet environment.